Login / Logout | Please Login/Register before ordering. Ruby is back, and this time she’s out looking to twist Kapoor’s little neck. Yes, the Rodent has gotten her into yet another mess. How this came about – Kapoor started his own detective agency. He doesn’t call himself a P.I. (Private Investigator), he calls himself a P.S. (Private Snoop). But then he accepts a case that’s way over his head. 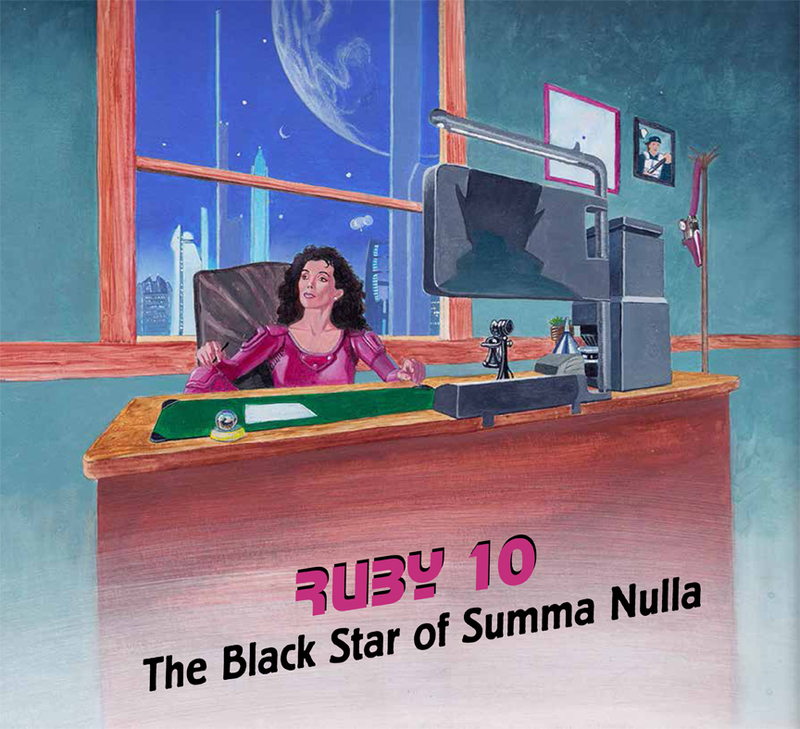 It’s about a gemstone called The Black Star of Summa Nulla, a stone some people believe can predict the future. Moliere, Chief of the Mole People, dug up the stone on one of his digs. Moliere believes the Black Star is not from this planet, in fact it’s so dangerous, it was meant to be buried away forever. And when Kapoor gets his little paws on the priceless gemstone, everyone is out looking for him! But he’s hiding. And where is Rodant hiding? He’s somewhere in “The Big Boohoos,” a sector of Summa Nulla where the rains never cease. Wait! Are you a member? Note: Download links are presented upon purchase of MP3 products.